The Ratepayers’ Report found in the Canterbury region the Christchurch City Council was the worst-performing council in terms of operating expenditure, spending $3901 per ratepayer – well ahead of the national average of $3175. The council data suggest that without more central government money, Christchurch City’s decision to keep assets such as the airport and Orion will need to be re-examined. What a surprise. 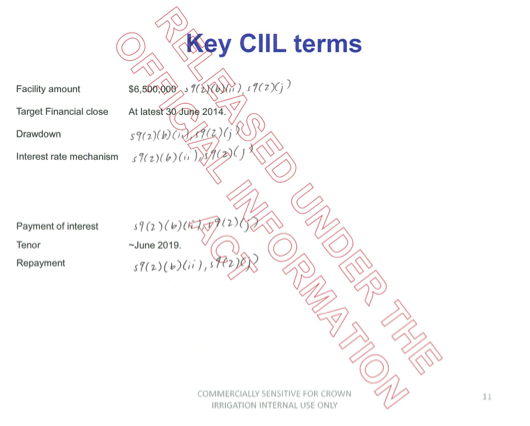 The CCC should sell off these assets, which produce a dividend that has kept rates in the city down, so we can build Brownlee’s egotistical anchor projects, like the Stadium and the Convention Centre – for which the business case remains non-existent. The Mackenzie Country is a lovely place. It is also the home to a mere 4,000 people. So to compare the operation of New Zealand’s second biggest city to that of a district which has the same number of people as a well-attended speedway event is beyond a farce. Ratepayers in Christchurch City and Waimakariri may also want to consider whether they enjoy council services such as pools, gyms, kerbside recycling, cultural events and other such things which are provided in cities. Speaking of the Mackenzie Country and the Taxpayers Union, yesterday I received a response to my OIA about the businesses cases used by the Crown Irrigation scheme. I asked for them to provide me with a business case for their decision to invest in the CPW scheme. 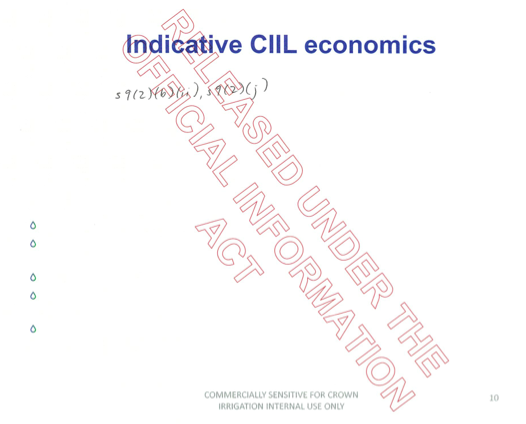 The papers released by CIIL have almost every single word of substance redacted. It’s a joke. 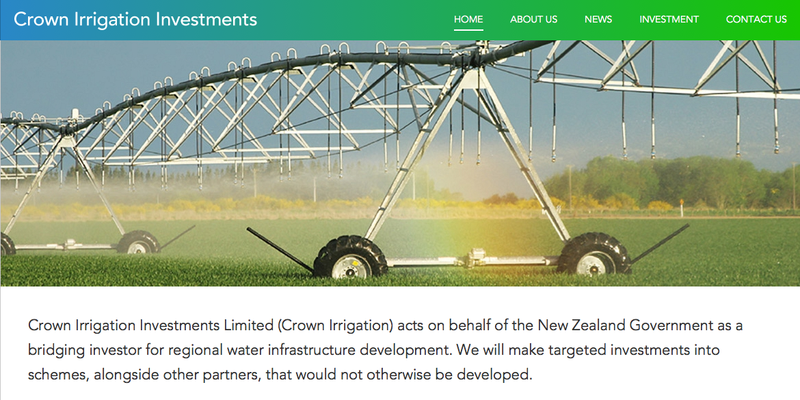 So the taxpayer is putting $6.5m into an irrigation scheme, and we have no way of finding out how it is being spent, what the business case was, what the returns might be. Surprisingly, the silence from the Taxpayer’s Union over this unaccountable spending of taxpayer money has been deafening. SCF’s late chairman, Allan Hubbard, had transferred a 33.6 per cent stake (In Dairy Holdings) to SCF in 2008 in a bid to shore up the company. The stake was said to be worth $75.7 million then but Reserve Bank documents revealed the figure was thought to be inflated. The public face of South Canterbury Finance, Allan Hubbard has been recognised for something completely different – irrigation. Also a director of the Central Plains Water scheme, he “put his money with his passion” and helped fund the project when it needed money, Mr Sutton said. CPW’s biggest lender, Dairy Holdings, is also part-owned by SCF and many of its shareholder farmers have business ties to the company, although Crombie said its loan was not directly affected. South Canterbury Finance’s (SCF) largest remaining asset, Dairy Holdings, will stay in New Zealand ownership after existing shareholders put in the winning bid of $56.4 million. Dairy Holdings is Fonterra’s biggest supplier and owns 58 dairy farms in Canterbury, Southland and the West Coast, covering 14,200 hectares. I wonder if any of the high risk loans and secret loans to parent companies from December 2008 and January 2009 went to Dairy Holdings, and if so, whether they went from there to Central Plains. 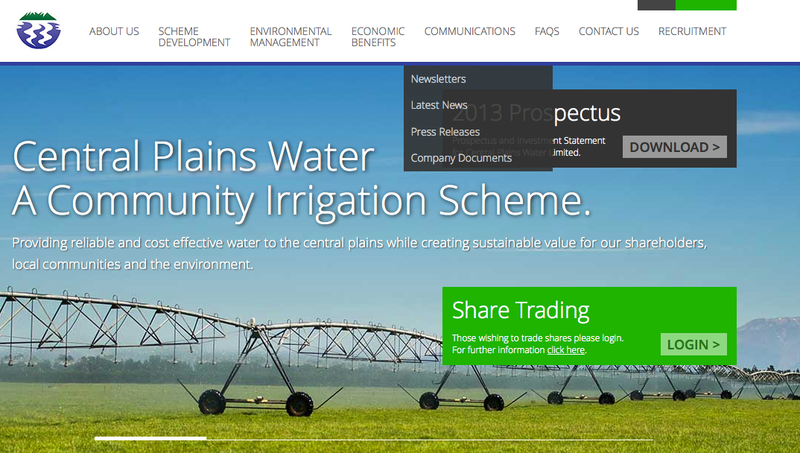 In any case, it doesn’t matter now, as CPW was using the money to try and fight legal objections to the scheme; instead of wasting money on lawyers, they were lucky enough to have a government replace the regional council with irrigation-friendly commissioners.